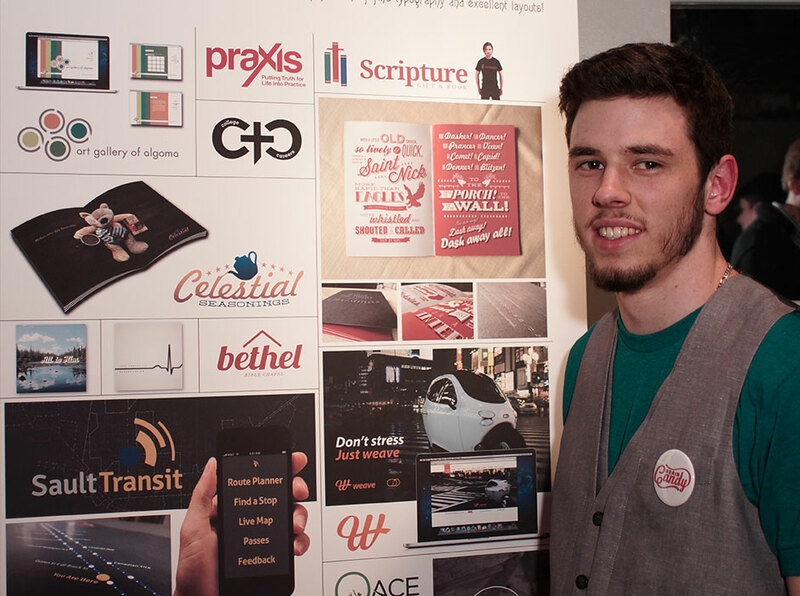 Every year, the graduating Graphic Design class plans their own grad show. We put our brains together to think of something different. As a part of our final semester in the Graphic Design program, our class had to plan our whole grad show. We decided to push the boundaries of what’s normally been done by hosting the event at Loplops. Our show was named was “Brain Candy”, which is a play on “eye candy” because design is more than eye candy—it’s backed by quite a bit of thought and process. 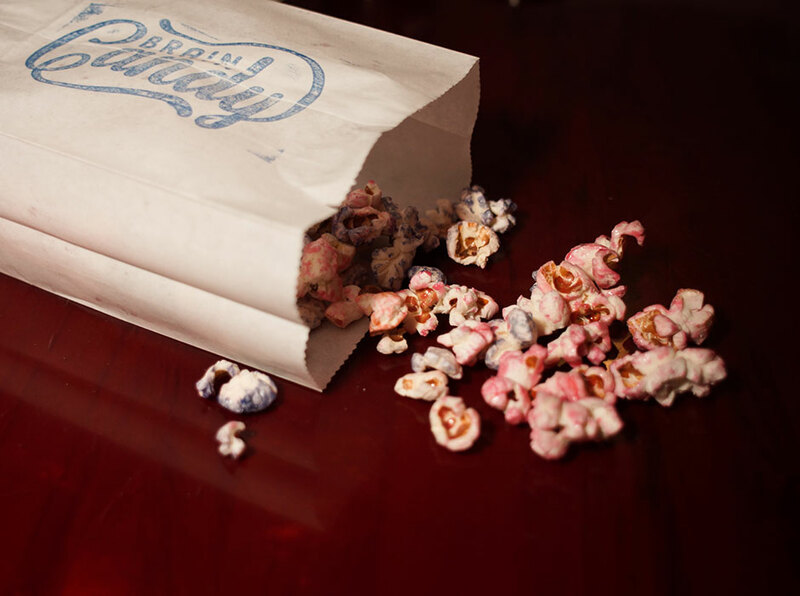 Coloured popcorn and a stamped bag. We wanted our show to be a fun place to be, not just an “exhibit” where you show up, look at our work, and leave. We wanted people to have a reason to stay and enjoy themselves. 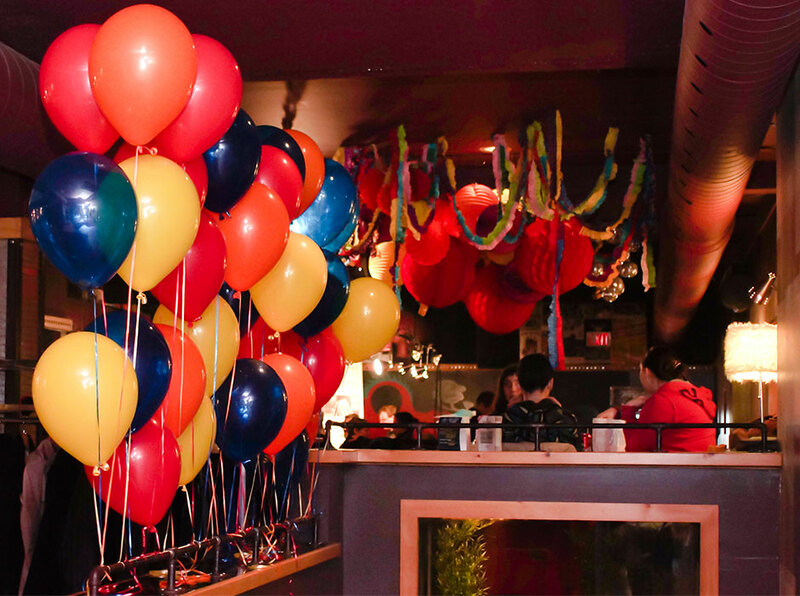 That’s why we chose our location to be Loplops, and it’s also why we provided our guests with piles of free candy, including a cotton candy/popcorn vendor out on Queen Street. My apologies—I think I forgot how to shave in the last semester of school. The logo was meant to look like a vintage candy bar. The goal was to create a simple and fun brand that people could feel a part of. More decor by Bubble Pop. Our class handled everything, including promotions and advertising. We got the word out through posters, invitations (e-mail and physical), as well as an array of local news outlets. 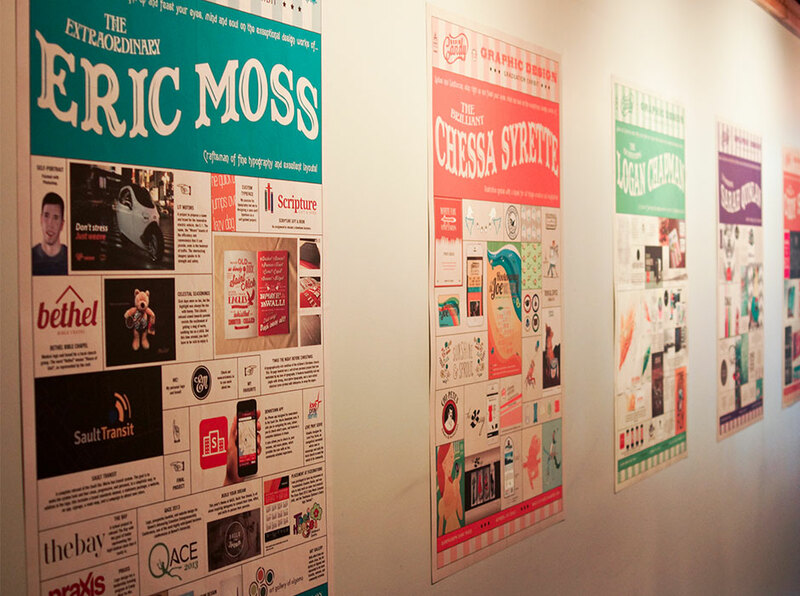 Portfolio posters were on the wall at Loplops all month long. More candy by Bubble Pop. 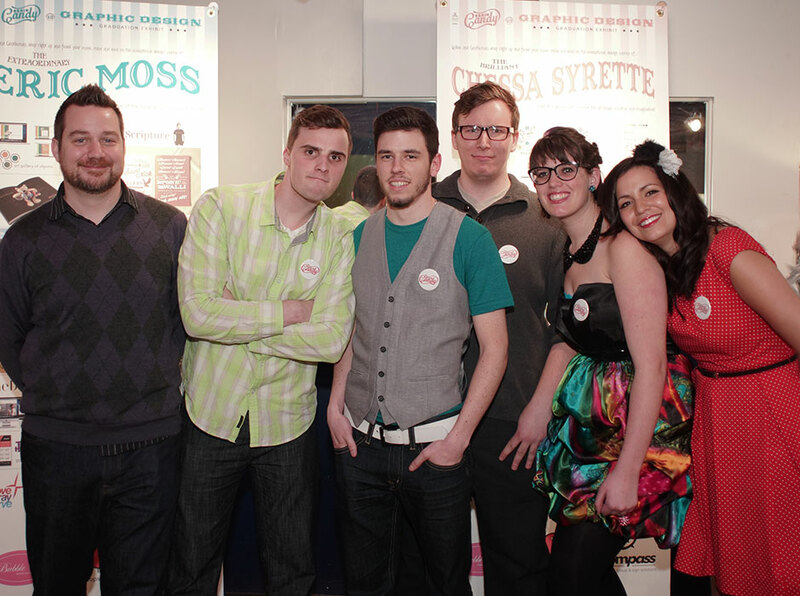 From left: Dennis Houle, Cody Spahr, Eric Moss (me), Logan Chapman, Sarah Quinlan, Chessa Syrette.